Our Heavy Bottom Super Light Plus set is perfect if you need plenty of low end power, but still want things up top to be nice and bendy. Where else are you going to find a set of guitar strings that goes .0095 to .062? 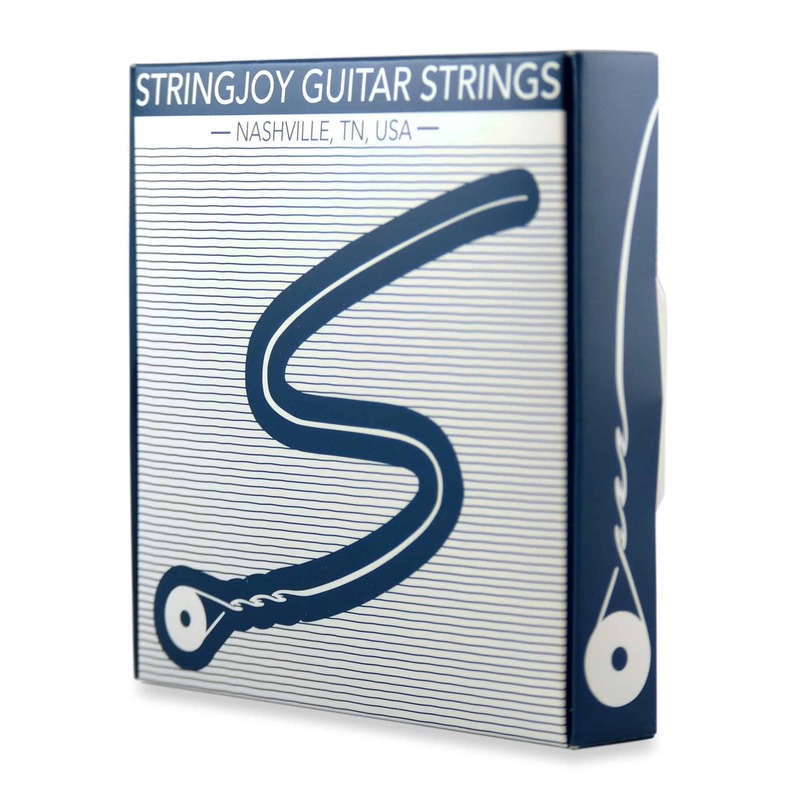 You gotta come to Stringjoy for strings this unique. This set is so good, it’s criminal. But until making the world’s best strings is a crime, the feds got nothing on us. Sound good? Rad. Hit the blue button below to add these to your cart. Want to customize? Check out our Custom 7 String Guitar String Sets. >> John from avondale, James from Tucson & 8 others bought this item recently. If you don't love it, we'll replace it. No hassle, no fine print, no questions asked. To put it simply, fresh strings, made with quality materials and genuine care just sound and play better. 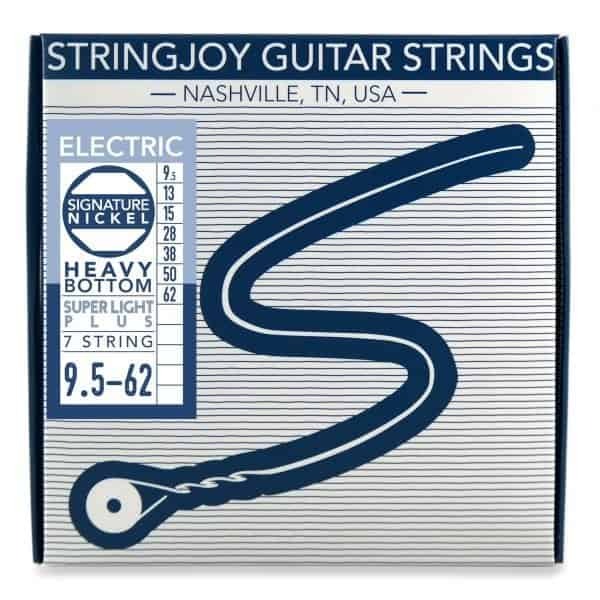 Stringjoy guitar strings are made by a small team in the USA, out of all American materials: top quality nickel alloy, hand wound around a high carbon steel core wire. The combination of better materials and more careful craftsmanship creates a more natural-sounding, longer lasting string, without the tone-deadening effects of string coatings. We’re known for our quality control. 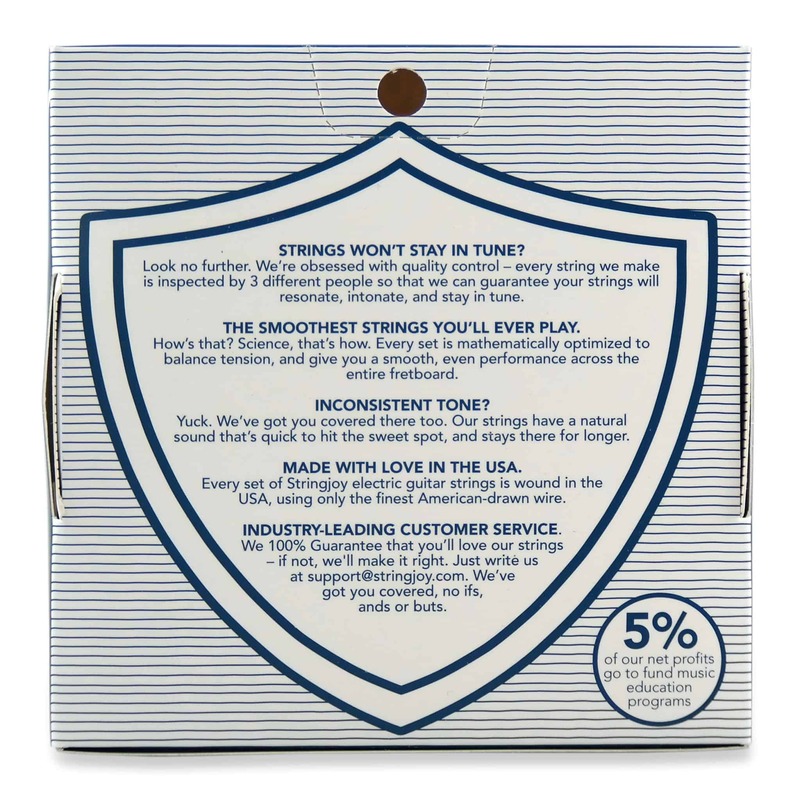 Our strings are wound in small batches, and we use real human beings at every step of the process: the winding, the coiling, the packing, you name it. Every string is inspected individually before it goes into your set. If anything is wrong with a string, from the way it’s secured around the ball end, through the entire winding, it doesn’t make the cut. What does a higher quality set of guitar strings mean for you? Our guarantee is what we say it is. If anything does not perform to your satisfaction, return it for a replacement or refund. No hassle, no worries. All US orders ship free, so long as they’re over $20. Alaska and Hawaii too. Simple as that. No tax (except for our fellow TN residents), no extra handling charges, nothing. We do ship internationally as well, though unfortunately we can’t do it for free, but we get as close to it as we can. There’s some more info on all that at the bottom of this tab. Most string and pick orders ship within 3 business days, many within 1 business day (Monday – Friday, minus postal holidays). We want to get your gear out as quickly as possible, but quality is important to us above all, and we will not rush the process. The most important thing to us is that everything in your order is perfect, and that’s why we take the time to put together and inspect each individual order by hand. We’ll ship most anywhere in the world. Our site will automatically calculate the shipping costs on the checkout page. We’ve worked really hard to get international shipping costs super low (they start below $3 an order, depending on weight and destination country), and we do subsidize them substantially to keep them that way. Due to the wealth of country tax and tariff codes the world over, any and all import duties or fees are the responsibility of the purchaser. Typically, international orders arrive in 1-3 weeks, though occasionally packages will take a bit longer and still arrive safe and sound, so we don’t consider a package to be “lost” until 6 weeks from the shipment date. As always, if you have any questions, concerns, or trouble with your order, we’re here to help.